ThredUp learned that many of its sellers wanted to donate their clothing rather than exchange it for cash. Spring cleaning is a big job for many, and sorting items is just phase one. Then there’s getting the stuff out of the house and into the hands of someone who will use it. That’s why ThredUp, an online secondhand store founded in 2009, has evolved its business over the years to accommodate its buyers’ and sellers’ various needs. The company, which sends users special bags to fill with their unwanted items then picks them up from their homes, started as a place to buy and sell kids clothes. Its tagline was, “Clothes don’t grow. Kids do.” But upon doing some customer research, founder James Reinhart and his team realized that their biggest opportunity would be in women’s apparel. He says he’s always envisioned ThredUp as a business that does good for people’s closets, their wallets and the planet. 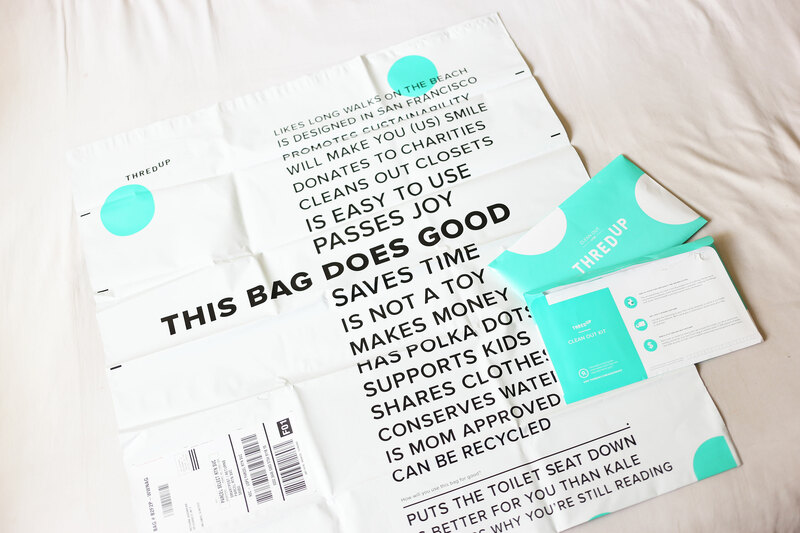 Its bags even say “this bag does good,” given the fact that no items ThredUp processes end up in landfills. Another revelation the company had upon surveying its customers was that not everyone hoped to make money off their unwanted items. Some just wanted a tax receipt. So ThredUp reached out to charities such as Big Brothers Big Sisters and Feeding America to give sellers the option to donate the proceeds from their items with the click of a button. While doing good felt good, the company did face a couple of hurdles, including how to issue donation receipts to the customers and working well with charities, Reinhart says. The company is on track to double its growth for the fourth consecutive year. Entrepreneur spoke with Reinhart about how entrepreneurs with good intentions have to build them into the foundations of their companies. I think it’s something that’s part of DNA from the very beginning. Great companies that grow, scale and deliver a great customer experience, they get started with the notion of making an impact in the world. Think about Toms Shoes, Warby Parker, Zappos, some of these iconic companies. I don’t think they thought about doing good later on. Growth compounds and accelerates when you are doing good. We spend a lot of time talking about the right criteria for quality inspection and how to treat customers’ clothing with care both on the inbound side and the outbound side. We pack everything up in brown boxes and wrap everything up in tissue paper, and the language we use is that our employees think about packing a gift for a friend. At our third annual internal Up Conference, instead of passing out swag to employees such as a $25 T-shirt and notebook, we gave $25 on behalf of every person in our corporate team -- about 150 people -- to one of four charities. For me, it’s about all of the little things that we do throughout the culture that help instill this notion of doing good. A lot of entrepreneurs need to be careful they don’t get too focused on just doing good, because you do need to build a great business that can do good over the long term. Take the Warby Parker example. If they were selling ugly glasses, nobody would care about their charitable aspect. So, I always encourage entrepreneurs to make sure they’re meeting a big, important need for the customer, and at the same time, make that customer feel good about that experience and do good in the world.